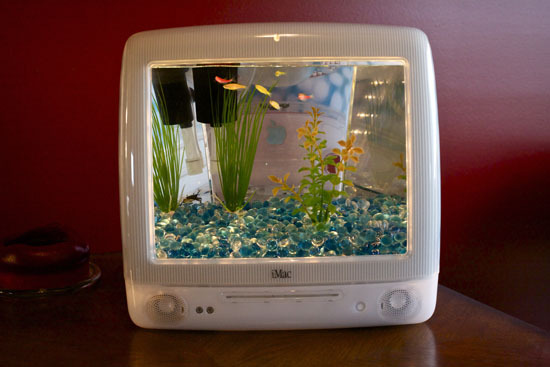 The iMacquarium Fish Tank will give your old iMac computers a new life instead of being destined to our landfills. 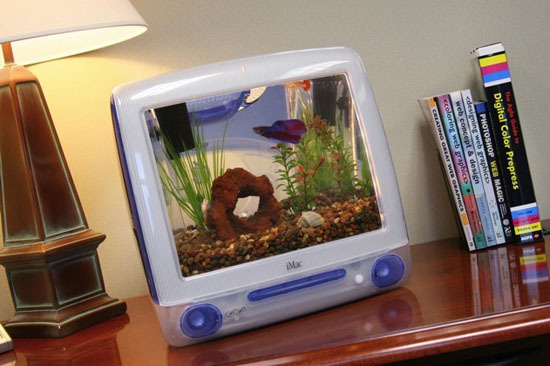 Apple computers are now getting as sleek and portable as it can be, thus gone are those bulky iMac computers with CRT monitors. 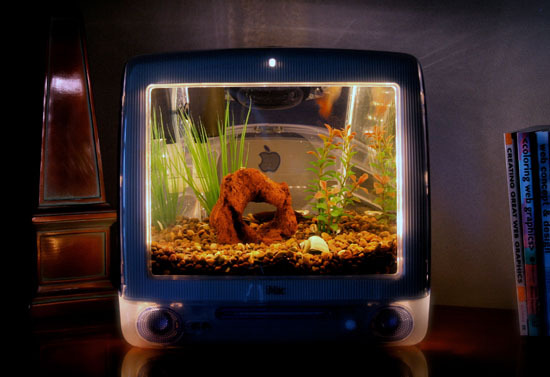 Designed by Jake Harms from Omaha, Nebraska, the iMacquariums are lovely fish tanks for your home or office made from defective or discarded iMac computers. 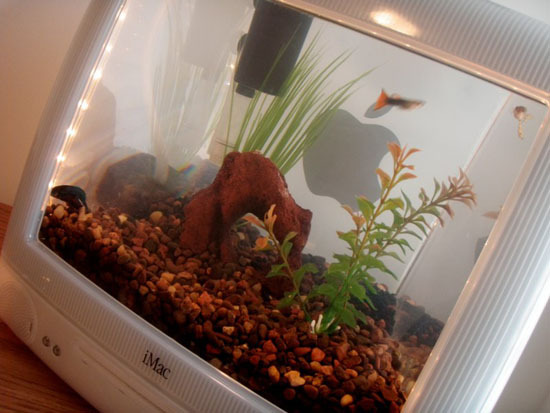 This is a lovely way of reducing wastes destined to our landfills as well as minimizing the growth of it. 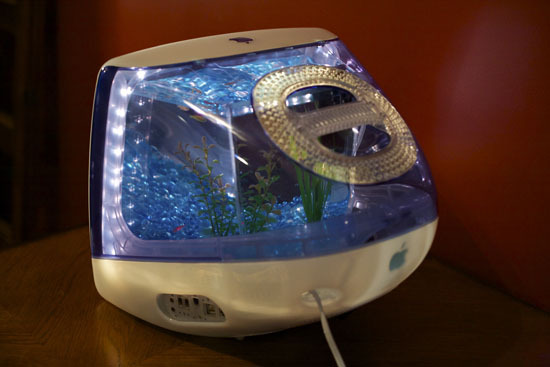 The iMacquarium fish tank is available for purchase at the designer’s website and comes in a wide choices of colors like red, emerald, orange, aqua, blue and more.